It has been a very busy end of the year! Now that our Travel Video Contest has come to an end, we’d like to congratulate each of the winners. We’re also excited to announce this year’s $4,000 grand prize winner, Mariana Osorio, will soon be sharing her story in the Study in the USA blog. We’d also like to help you reboot this winter break and make this next semester easier with scholarships, finding an apartment, furniture rentals, and student health insurance. We have enjoyed spending 2016 with you, and wish you a very happy holiday season! 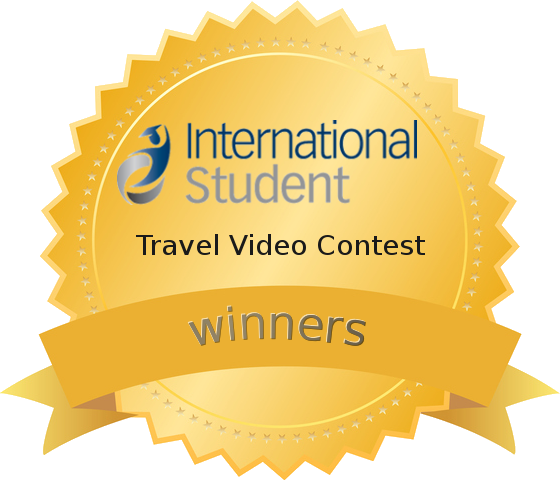 We’re pleased to announce our Travel Video Contest winners! From an outstanding group of 159 videos our judges made a few difficult decisions and finally named the third, second and first place winner. Check out the winning videos and don’t forget to enter our contest next year! Thanks to all who entered for sharing their inspiring stories! Our $4,000 grand prize winner from our Travel Video Contest has already started blogging! Read her very first post and keep track of her journey as an international student inside the US this year. With Thanksgiving over and only a few weeks left until the end of the year, it’s a good time to start turning your attention to insurance coverage for January. The Student Health Insurance plan from International Student Insurance comes in 4 plan levels, and starts at just $29/month! Student Housing: You’ve been accepted into the school of your dreams and now all you need to do is find a place to live! Luckily, CORT makes finding a new home easier than ever. They will help you find the right apartment near campus, so you have a home when you arrive! Furniture Rentals: The list of things you need for your new home can seem endless! However, with CORT furniture rentals you can check off every item on your list! CORT lets you choose a furniture package that meets your needs, plus renting furniture is so much cheaper! Need help affording college? If so, you won’t want to miss our scholarship search. Using our online search tool, you can find scholarships available to international students and that are just right for you. Winter break is quickly approaching and you might be on the fence about whether to spend the time “getting ahead” with next semester’s classes, or just simply hanging out. We suggest taking advantage of the time to relax and reboot so you can come back to classes refreshed! If you’ve forgotten how to relax, we have a few ideas that can help. 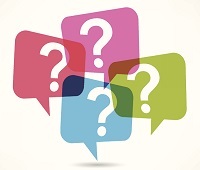 Every day we receive questions on international education from students like you. If you’re going through the US college application process, the answer to this question might help you out! Sana: Hello, as an International student from Ireland applying to the US, I have loads of difficulty with topics concerning extracurricular activities. I don't have much activities and even those that I have are not very prestigious. They are usually joining a club or participating in competitions (and not winning). I don't know how I can write this on the common app to make it sound good. Any suggestions? This month’s advisor is Colby Yeaton from Wheaton College! Colby has been working in the field of international education for over 7 years and directly advises international students and scholars on immigration regulations, cultural and academic adjustment. At Wheaton College, they believe education is an active pursuit. Wheaton offers countless practical opportunities through internships, independent research projects, campus leadership and spending a semester at one of their partner institutions in the U.S.